Meet the Cuddliest Way to Enjoy Scentsy Fragrance! 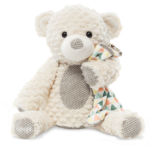 Scentsy Buddies are huggable cuties that come to life with your child’s imagination and the help of a Scentsy Scent Pak in your choice of fragrance. 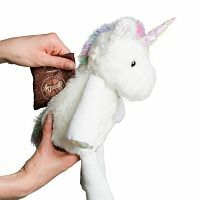 Simply add the Scent Pak into the hidden zippered pocket of the Scentsy Buddy and enjoy long lasting fragrance for your scented stuffed animal friend. 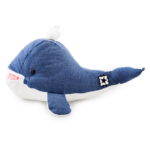 These Buddies are limited edition, so as one sells out, a new addition will arrive. Just insert a Scent Pak into the hidden pocket of your Scentsy Buddy, they come to life with some of the best scents Scentsy has to offer. If you want your Buddy to smell really sweet, just give them a squeeze! If you’d like to swap your Scent Pak for a different fragrance, just unzip your Buddy, remove the Scent Pak, and replace it with another one of your favorites. Adding a Scentsy Scent Pak to your Scentsy Buddy is easy! Simply unzip the hidden zipper pocket, slide the Scent Pak in, then zip the hidden pocket back up. Enjoy the fragrance of your Scentsy Buddy. Scentsy Buddies are limited edition and continue to be one of the favorite products in our Scentsy® Kids line. 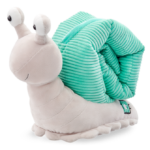 As soon as one buddy sells out Scentsy introduces a NEW soft, squishy, stuffed friend. If you’re looking for the perfect gift for a birthday, graduation, Valentine’s Day, Christmas, etc, Scentsy Buddies are so fun to receive. Even my teenage daughter enjoys having her scented stuffed animal friend in her car. Our Scentsy Buddy Clips are mini sized, pre-scented versions of our regular size Scentsy Buddies. Hang them from a locker, backpack, car, dance bag, gym bag etc. They are so fun and smell amazing! Scentsy Sidekicks offer the engaging sensory fun little hands crave. These fun little exploratory toys have crinkly legs, teething rings and knee socks that move up and down! Parents will love the little hands that attach to car seats, strollers and more. 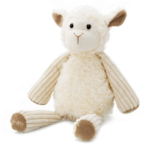 Scentsy Sidekicks are pre-scented with our Newborn Nursery fragrance, are 13″ tall and $20 each.